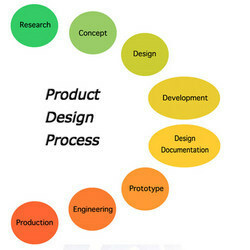 We provide our clients with product design assistance to bring the innovative designs of our clients in material form. The professionals understand the need and use of the designs which enable them to come up with better and accurate results. They can also manage design projects and subcontract areas to other sectors of the design industry. Architecture, Interior designing, Vaastu, Home automation, Furniture…. We are Service Provider of Construction Assistance Service, on the very affordable industries prices. It’s been proven time and again – a collaborative approach can positively impact a construction process. Involving Johnson Controls from the concept through design phases means informed, data-driven decisions are made earlier in the process, ensuring energy, technology and operational objectives are met. Rajni Bain RYB Consultant uses an experienced approach to Design Assist projects with our in-house design capabilities and expertise. Primary engineering and design (Engineer of Record) remains the responsibility of an outside engineering entity. CECI will offer review, suggestions, coordination, management and quality control/compliance. Overview This Course is designed exclusively to provide End-to-End Mentoring & Assistance for driving Six Sigma Project, starting from Identification till its Completion. Highlights The assistance is generally provided in three ways- 1. Online Sessions, 2. Project Start-Up Kit and 3. Experts Guidance. 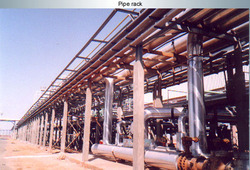 - Provide solutions which ensure safety and quality construction. - Quality consturction within the scheduled timelines and budget. - We take care of the environmental issues which arise during the construction. In design/assist, the Owner hires both chunduri Construction and the architect under separate contracts. Similar to the design/build approach, Chunduri is brought on board early in the design phase to assist in constructability reviews, value engineering, and budgeting, to ensure the project meets all the needs of the Owner without sacrificing budget or schedule. Architecture, Interior designing, Vaastu, Home Automation, Furniture.